“Southwest Finland electricity Ltd”, often abbreviated to LSS. 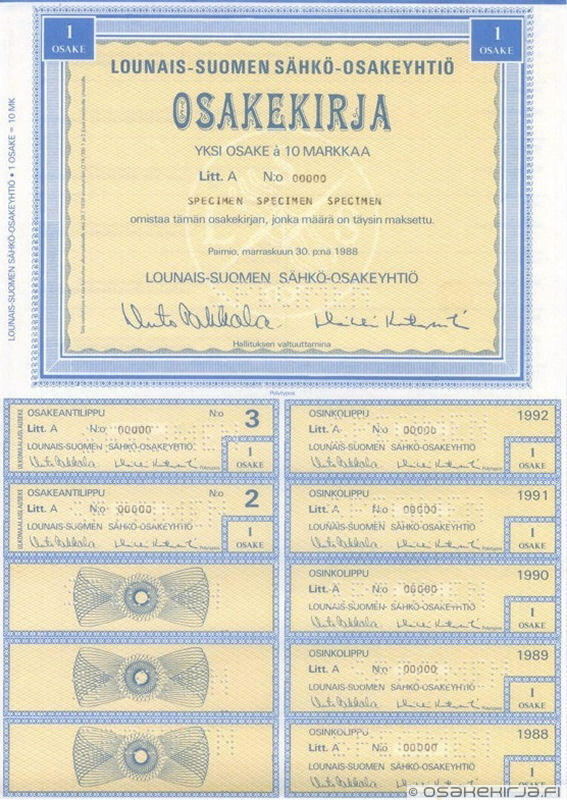 Later “Länsivoima Ltd”. 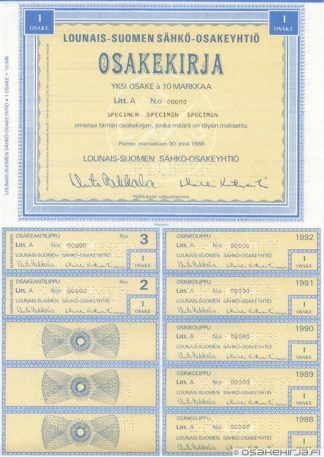 Lounais-Suomen Sähkö was established in 1913 as a local electricity seller and grid owner. Its network was covering several municipalities in neighbourhood of Turku and Naantali (Salo, Somero, Kemiö, Parainen, Paimio, Kaarina, Raisio and Mynämäki) and later also Vammala, Merikarvia and Hanko. In the 1990’s the company was known as an active and also aggressive player at the electricity market, and it bought quickly several other grid companies. 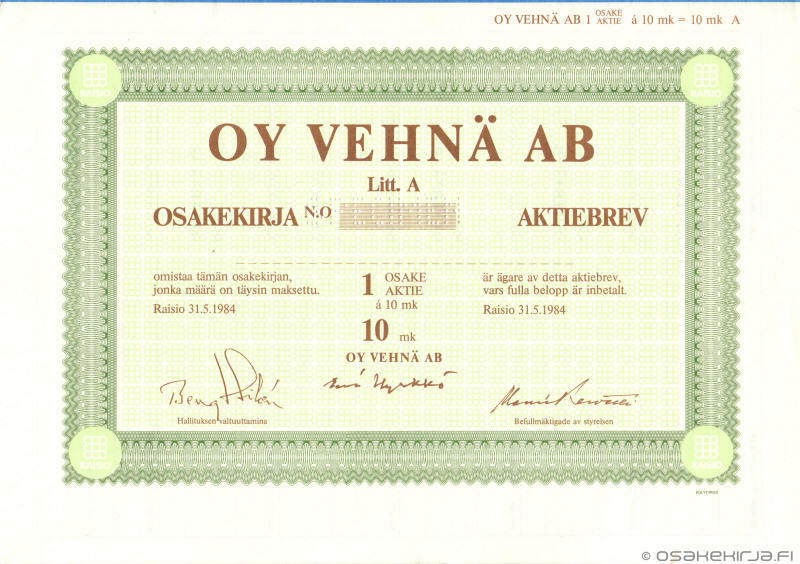 However, the company was overrun by Imatran Voima, which was owned by state of Finland. 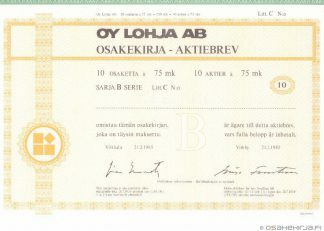 Later the network was transferred to Fortum and further to foreign owners. 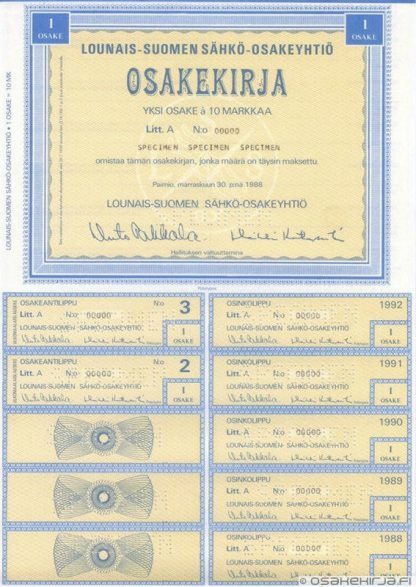 The share of Lounais-Suomen Sähkö / Länsivoima was listed in the Helsinki Stock Exchange from 1981 to 2000.